KGF Re released in main theatre NCS in Vizianagaram. On back of mind we all know that the director and other technical department including the Music matters so much for the movies success on a broader picture. For initial days, definitely every star movie will be watched by their fans, well-wishers and for general audience, the movie can appeal only with the trailer, songs and marketing strategy. For that reason I can say Prems is best in marketing, he made the audience to feel like Villian as a marterpiece before release remember he didn't had good outings in his recent films still he made people to get to the theatres just by his marketing, imagine if he has taken a little bit care in handling the climax in a better way and constume department, and used the valued multi-starer call-sheet wisely, Kannada movie lovers would have held this movie as high as it could get. Same in case of KGF, they had a better product compared to Villian and marketed it like it is Baahubali for KFI thats again a marketing strategy, they spent money specifically for marketing purpose which is hardly the case in many Kannada movies. They followed the marketing strategy followed by Baahubali (by breaking it in 2 parts) and other language movies. 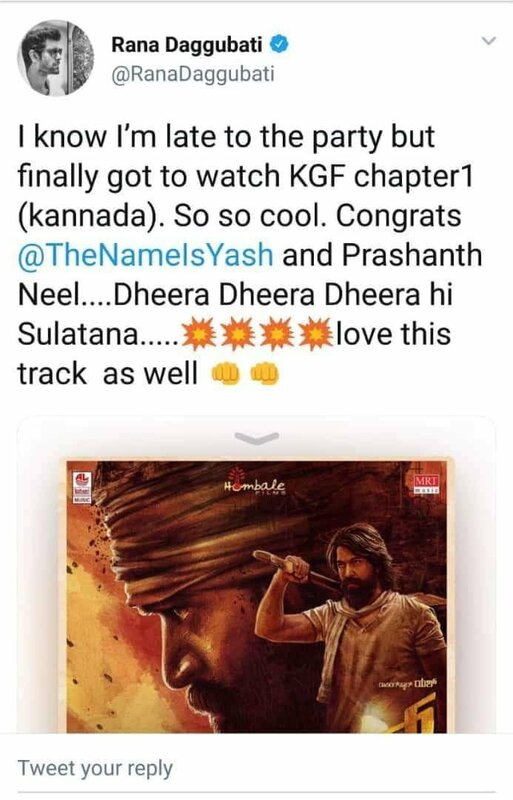 They projected KGF as pride of KFI and had a very good PR team to handle it in every social media paltform, which made all other hero fans to support it, which is why it is what it is now. Once the movie was released every one including the movie team started playing the spoilsport, they projected Yash is the one who made every thing happen which is completely wrong and not good development from Industry perspective. For ex in case RK, every technician has received the due for their contribution like Vijay Prakash (Bombe Song), Santosh, Harikrishna, even heroine and Sharath Kumar, Appu got his dues only for his role in the movie which is right.After doing all this KGF were not able to reach the footfalls what RK had got. Even after all the efforts put in KGF, they required the old Kannada song to remix it which again takes us to back giving credits. Lets not live in a illusioned world, remember the legacy of KFI before we glorify the current generation actors and movies. No one can ever make a Bangarada Manushya, Babru Vahana, Mayura, Sri Krishna Devaraya, Om, Nammura Mandara Huve, Prema Loka, Mungaru Male, Kasturi Nivasa, Duniya, America America, Nagara Haavu, Jogi, and soon. If box office collection for a story was great then, remember Beta hindi movie was adopted from a Tamil movie, which was again remade in Kannada by RaviChandran, was originally based on a old Dr. Rajkumar film Mallamana Pavada, doesn't that mean all the collection was for same story?, I meant to say is the stories were borrowed from Kannada movies long long time ago but there was no credits given. Recent examples like Swades (Bollywood film) was losely based on Chigurida Kanasu. All these should be remembered for that matters. With every body's effort we have the industry at this stage now. For god sake every one should remember "Kannada Film Industry didn't start making good films after 2010. Good movies were always there, just that we are forgetting the values of the past". Appu_Kannadiga, Bhargavi H Chandrashekar, aki and 3 others like this. AMB cinemas Hyderabad 4.30pm show House full. Punnam harshith and Simha like this. Limited number of theaters in 1st week because it was released along with PPLM and Antariksham,so KGF got more screens only after 1st/2nd week. After 3rd week it lost almost all the screens to Sankranti biggies and again rereleased in many parts from 6th week onwards. Not only telugu version, even TAM, MAL, HIN versions would've collected more if not for bad release date which reduced getting advantage of failure of other movies. - 42.52 lakhs total gross. Bell bottom replacing KGF in Shimoga from this week! I don't understand the hate on KGF. Some people never change. Maturity is a rare commodity here. No wonder people stop posting here. Thread will be cleaned of unnecessary negative posts. Expecting no more fights please. 50 days in Gemini Cinemas Warangal. Hoysala, Punnam harshith and Vishwas Mysuru like this.